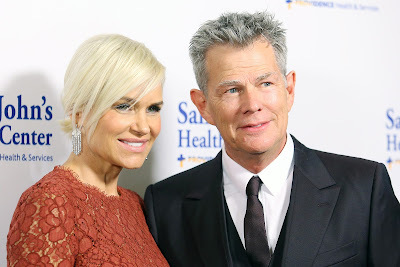 iRealHousewives | The 411 On American + International Real Housewives: Yolanda Hadid And David Foster Are Officially Divorced! Yolanda Hadid And David Foster Are Officially Divorced! Yolanda Hadid and David Foster are officially divorced. According to court documents obtained by E! News, the former Real Housewives of Beverly Hills star and her music producer ex finalized their divorce on Monday, October 16. Based on the documents filed with the Superior Court of California County of Los Angeles, Foster and Hadid reached an agreement in terms of spousal support and attorney fees, which Hadid asked for in her original filing. They also agreed on the division of their property. Yolanda and David announced their split in December 2015 after four years of marriage and nine years together as a couple in total. "Sadly we have decided to go our separate ways," the couple said in a joint statement to PEOPLE. "We've shared 9 beautiful and joyous years together. During that time we experienced love, friendship and the inevitable challenges that come with managing a marriage, careers, blended families and health issues." The RHOBH alum officially filed for divorce from David in January 2016. Yolanda recently got candid about the end of her marriage in her memoir Believe Me: My Battle with the Invisibility of Lyme Disease. "When I got sick, things went down, and it's just part of life. What I wrote wasn't about putting shade on anybody or my ex-husband; it was just to share that when people are chronically ill, it just strains the marriage, and I want people to know that that's normal. It wasn't about throwing shade at David. Like I said, we had an amazing time, and it was just the end of our cycle together,"
Yolanda explained on the Watch What Happens Live with Andy Cohen After Show earlier this month. "But people, other couples that are out there, think, 'Oh my God, I'm such a bad person because I can't support my husband or my wife.' No, you're normal. Everybody can reach the end of their rope, and we reached that point, and it's OK. It's nothing to do with shade. I hold him in really high regard, and I wish him only love, health, and happiness, and that's the end of that."